Home JUOrtho Blog What is the right age to start considering braces? While braces are often thought of as a passage of the young, the reality is that any time is a great time to consider braces. Ideally, the American Association of Orthodontists recommends that all children meet with an orthodontist by the age of seven to detect any potential problems before they ever become an issue, but if you’ve already passed that point with your child or are looking to get braces yourself, there are still many reasons to consider braces. 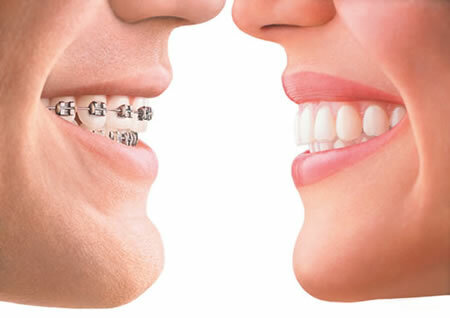 To understand what makes this age ideal, you have to first understand how braces work. Using pressure over time, braces shift the teeth over gradually, and new bone fills in these new voids. This continues until all of the teeth are in their final position. Unlike adults, children are still growing, which includes the bones in the face. This makes it much easier to move the teeth into the desired position. While seven years of age is a good general figure, you should consult with your dentist as every child’s growth is different. 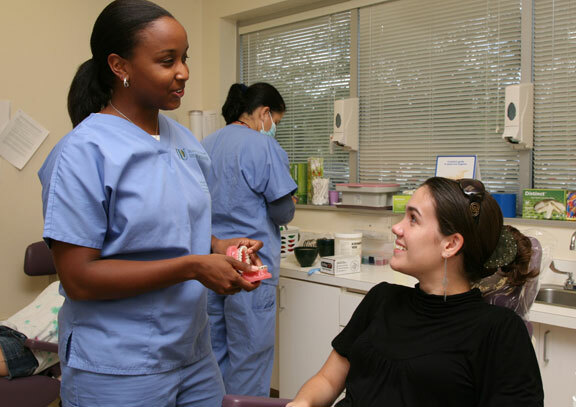 There are many benefits to getting an early start with an orthodontist. While you may think your child’s smile is perfect, these teeth will soon fall out and be replaced by adult teeth, and only an orthodontist can tell you if these teeth appear to be growing in correctly. An orthodontist can also measure your child’s bite and may be able to prescribe a course of treatment early on. Beyond cosmetic issues, there are several other reasons you might consider taking your child to the orthodontist. If your child has difficulty chewing, speaking or breathing, these can all be indicative of a dental problem. Other common problems include grinding teeth, clenching the jaw, biting the inside of the mouth or noise when moving the jaw. If your child is experiencing any of these issues, consider taking your child in for an evaluation. While early detection is ideal, you can still take your child in later on. Any decision you make to visit an orthodontist is a good one regardless of when it’s made, and at JU School of Orthodontics, we give you a lot to smile about. Our options are affordable whether you’re considering traditional braces, incognito braces or even Invisalign. In fact, the average cost for braces is 30 percent lower than at most other practices. Our cutting-edge technology has served many patients on the path to a better smile, so take a look at what we can do for you. Invisalign – Are clear braces right for you?